Pittsford, N.Y.-based The Bonadio Group (FY14 net revenue of $68.3 million) has named Andrea Hagen as director of its Bonadio Receivable Solutions LLC (BRS) division. Hagen will manage and lead a veteran team of consultants and revenue cycle experts with the experience to help health care providers identify and solve revenue cycle issues. 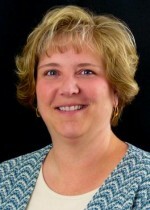 Prior to assuming her new leadership position, Hagen worked on the BRS team and with the division’s clients since 2010. She also has served as director of financial operations and as patient account manager for hospitals, physician practice management companies and private physician groups for more than 20 years.